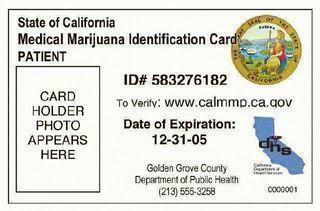 A Medical Marijuana Card (MMC) is a state-issued license that allows a person to have medical marijuana in states where it is legal. However, there is difficulty for those in states where it is legal to obtain a recommendation from a physician who will permit it based on the condition one has. Doctors still have reluctance in recommending a federally banned drug to their patients, so people have to search to find a doctor who is willing, and then form a doctor-patient relationship. Getting your cannabis card is a multi-step process, but to get one online is mostly illegal. The first thing is – and there is no way around it – getting the doctor’s recommendation. You must talk with your doctor about your condition and decide if medical marijuana is the best way for treatment. Persistent nausea, glaucoma, seizures, and chronic muscle spasms are among the few conditions where marijuana can have a medically helpful effect. Once the recommendation is given, the application must be filled out and government fees must be paid. After a review of the application, you, the patient, can be approved for a card and will receive it in the mail, permitting the legal purchase and use of marijuana at dispensaries. After 12 months, you must renew your license. Here is where the trickiness of getting the card online comes in. Marijuana is treated as a medicine, so, like other controlled substances like any painkiller, it has to be prescribed by a doctor and monitored by them to prevent abusing the substance. There are regulations with medicines that need prescriptions and getting the card online goes around those regulations. There are websites that claim it is easy to obtain them, asking for a sign-up and fee to connect you with doctors online who will give a recommendation. But this could be a scam and the “doctor” may not be verified at all. Only one state has legal online registration for a MMC: California. The state uses an online verification system where licensed doctors, in compliance with the State of California Medical Board, are the only people authorized to provide medical recommendations via video consultations with the patient. Through this system, patients in the state can obtain a card online. Most states do, however, allow card renewal online, as the patient’s record is already available. This is a new area with medical marijuana prescribing; it’s trial-and-error in how it is handled without alarming federal officials. Digital sales enter a very grey area and states want to hold back from it for now. Dispensaries even have a hard time finding a bank that would allow them to open an account. For legal purposes and safety, unless you live in California with a licensed doctor, it is discouraged to attempt to obtain the card online. It is illegal and it could be fraudulent to what is available.